Colorful Summer Sunrise On The Eibsee Lake With Zugspitze Mountain Range. Picturesque Outdoor Scene In German Alps, Bavaria, Garmisch-Partenkirchen Village Location, Germany, Europe. Fotos, Retratos, Imágenes Y Fotografía De Archivo Libres De Derecho. Image 116550650. 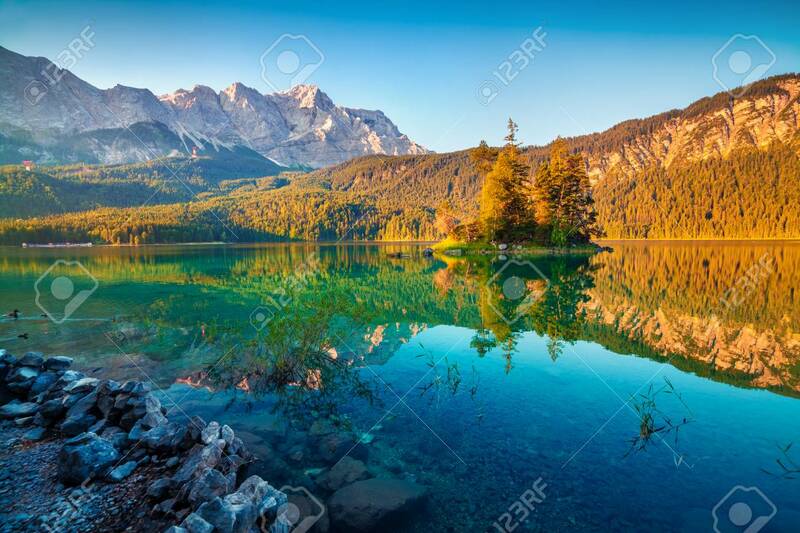 Foto de archivo - Colorful summer sunrise on the Eibsee lake with Zugspitze mountain range. Picturesque outdoor scene in German Alps, Bavaria, Garmisch-Partenkirchen village location, Germany, Europe. Colorful summer sunrise on the Eibsee lake with Zugspitze mountain range. Picturesque outdoor scene in German Alps, Bavaria, Garmisch-Partenkirchen village location, Germany, Europe.